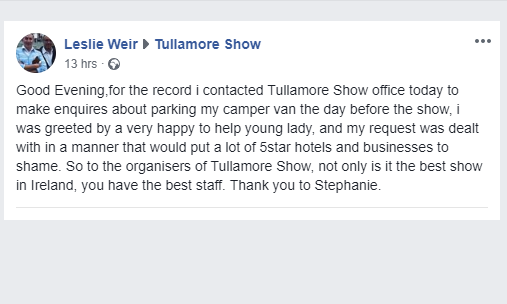 We are always delighted to take calls and assist customers the best we can, here at the Tullamore Show, we are just happy to help you get to our show. 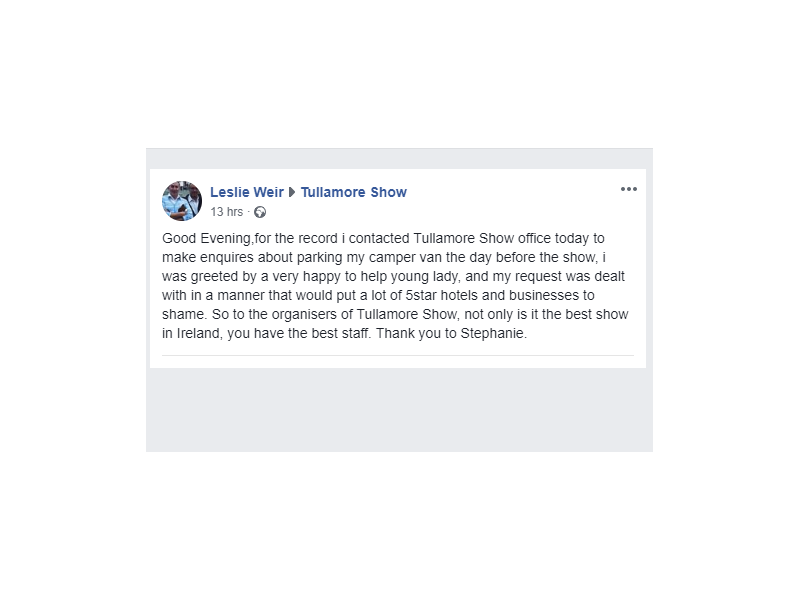 We love to know that people appreciate our help and when we saw this comment on our Facebook Page everyone in the office blushed a little bit. 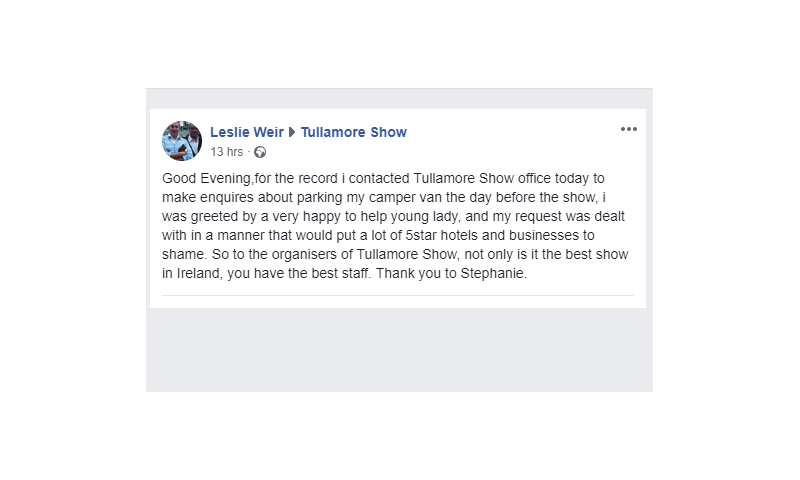 Stephanie was happy to chat away to Leslie and try to accommodate him as best we could, we are glad he's satisfied with the result and as Leslie has said himself "Praise when rightly deserved should be recoginsed."